Founded in 1990, 24 Hour Translation has become a leading U.S. based provider of translation services in Washington D.C. for businesses, individuals, non-profits and government agencies. Our Washington D.C. translators work with global, national and regional businesses and individuals by translating to and from more than 40 languages, including Spanish, Portuguese, French, German, Chinese, Russian, Arabic, and Italian. Our translators bring a minimum of 10 years of real-world experience, integrity and professional values to every assignment. Beyond providing quality translation services, we seek to build long-term relationships with our clients, always striving to understand fully their businesses, goals, and interests. Expert Document Translation Services in Washington D.C. The translators in our Washington D.C. Translation Services office combine our agency’s global perspective with a deep understanding of foreign markets, multilingual translation and technical knowledge to help clients address critical business needs. We are committed to hiring top talent. All of our professional translators hold advanced degrees in their areas of expertise, have a minimum of 10 years translation experience, and work exclusively for us to ensure the confidentiality of your sensitive documents. 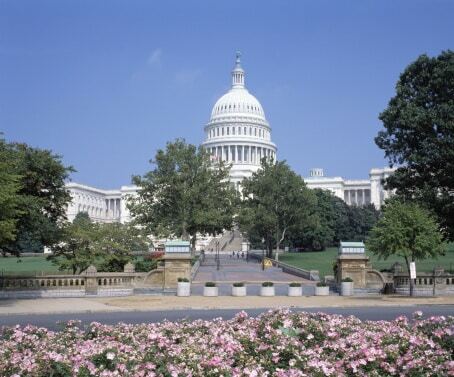 Industries Served by Our Translation Services in Washington D.C. Whether your project targets the local Hispanic market or a French speaking market, or anywhere else, you can trust the experience of 24 Hour Translation. Request your free estimate now.